Microsoft have just released two out of cycle updates. I suggest you use Windows update to get the latest updates. Out of cycle updates are usually critical ones. There is a new release of stylecop at http://stylecop.codeplex.com/releases/view/79529. This is an Alpha release of stylecop for working with the new version of ReSharper. I have tried it on a large solution (> 150,000 lines of code) and it worked fine! A Resharper upgrade is now available. The upgrade includes both performance enhancements and some useful new features. Firefox 9.0.1 is now out. Just go to Help, About within Firefox and accept the update. On 23/24 Dec Site Point at http://www.sitepoint.com/sale/ are offering a very specical deal - all the special offers that they have made this month are available again! This includes some excellent books on CSS and JQUERY! At http://blogs.msdn.com/b/wltester/archive/2011/12/13/just-because-you-can-test-it-doesn-t-mean-you-should.aspx there is a very interesting article with the title "Just because you can test it doesn’t mean you should"
If you involved in testing or writing code for tests, this is an article you should read. Look in the bottom left hand corner of the page. 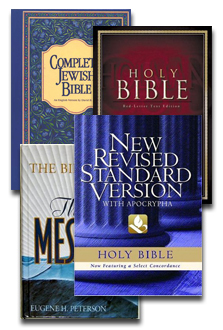 Today's E-Sword Deal of the Day from http://estudysource.com/biblebundle/ is 4 Best Selling Translations at a low price of $38.99. E-Sword itself is a free download from http://www.e-sword.net/downloads.html and comes with the King James bible. A new version of GhostDoc is coming! Have you unsubscribed from Download.com yet? At http://www.lockergnome.com/craighton/2011/11/30/10-web-developer-firefox-add-ons/ there is a list of 10 very useful Firefox add-ins. A good list of useful utilities. At http://www.sitepoint.com/sale/?SNEAK_PEEK&utm_source=email&utm_medium=email&utm_term=day1&utm_campaign=xmas-sale-2011, Site Point are offering 24 deals over 24 days. As each deal is available for only 24 hours you need to check in each day. At http://feedback.submain.com/list/6236-products/ you can submit your ideas for the next version of GhostDoc and vote on others ideas. At http://net.tutsplus.com/articles/editorials/why-many-developers-hate-asp-net-and-why-they-are-wrong/ there is a brilliant article about ASP.NET - read it!